Ranbir Kapoor seems to be a protective boyfriend to Alia Bhatt when he made this gesture. We have that video clip embedded below for you. Ranbir and Alia are the Bollywood’s newest couple and were seen together leaving a venue recently. In the latest video that has surfaced, Ranbir is asking Alia to drop her off. Then, they were seen leaving the venue together, in the same car. By this time, the video is making rounds on the social media sites and several Bollywood fan sites. 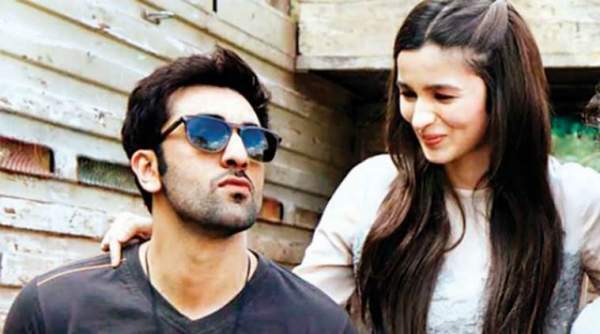 Is Ranbir Kapoor a protective and cute boyfriend to Alia Bhatt? Check: Sanju 16th day collection. Ranbir and Alia have taken off for Bulgaria for the shoot of Ayan Mukherji’s upcoming film Brahmastra. Their photos of twining in white also went viral online. Though Alia hasn’t confirmed it yet, Ranbir Kapoor accepted publicly that he is dating her. In May, RK said that it’s pretty new to talk about it and he doesn’t want to overspeak. Their relationship needs time to breathe and needs space to grow. It’s all new for us, so let’s let it cook a bit. Both of them have been seen praising each other’s movies. Ranbir appreciated Alia’s performance in Raazi while Alia returned the favor by praising his performance in Sanju. Ranbir seemed a little vague in a recent interview to Anupama Chopra. The couple has been seen out several times in the last couple of months. Ranbir visited Alia’s home for dinner with her father, Mahesh Bhatt. Her father said that it is up to the media to decide if ‘Papa is raazi’ about their relationship. Next articleThe Legend of Korra Season 5: When Will The Graphic Novel & Anime Series Happen?